1940 was a watershed for Lithuania. It had enjoyed just over 20 years of independence since the First World War, although it had been a fraught period, marked by territorial disputes with its neighbors and a coup d’etat in 1926. 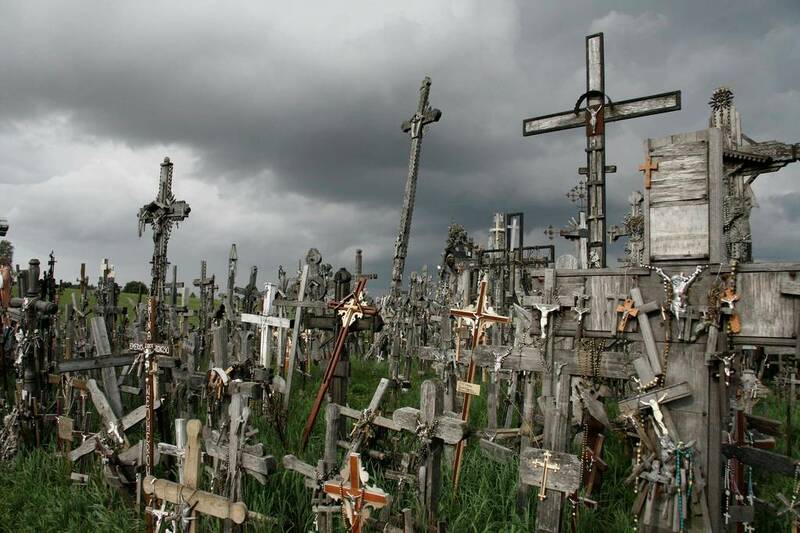 However, after Nazi Germany’s invasion of Poland in 1939 things were about to get much worse for Lithuania. The USSR had made a pact with Germany which would carve up the countries between them. 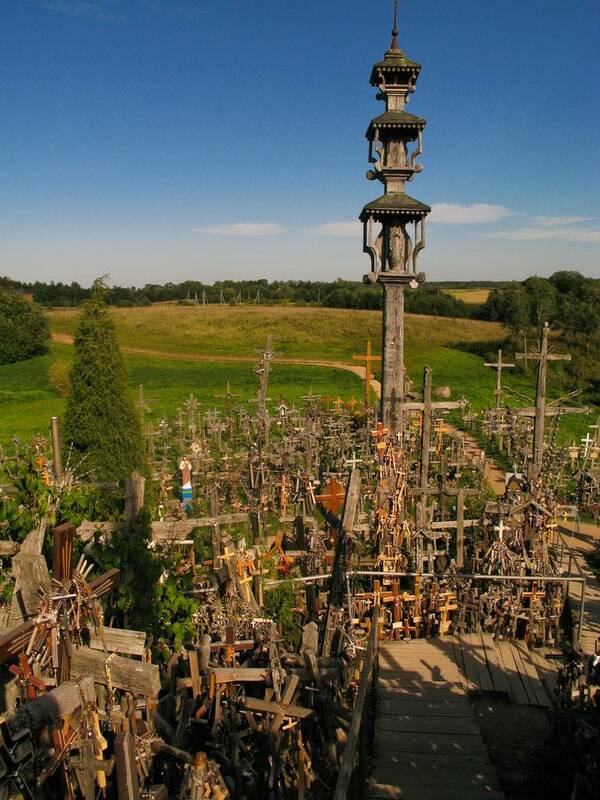 Duly, Lithuania was first annexed and occupied by the USSR in 1940. However, there was little respite. After the agreement between the USSR and Germany was ignored, the latter occupied the Baltic state in 1941. 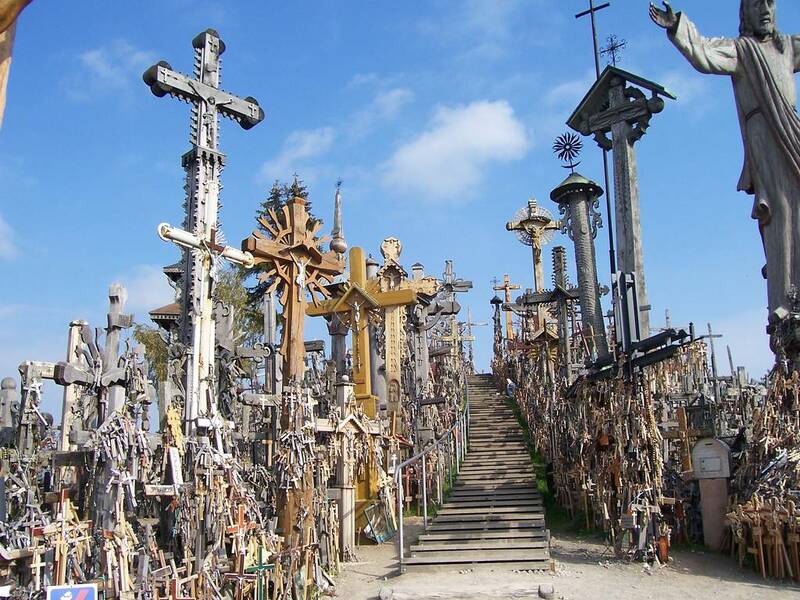 Three years later as the Germans retreated, the Soviet Union once more occupied Lithuania. 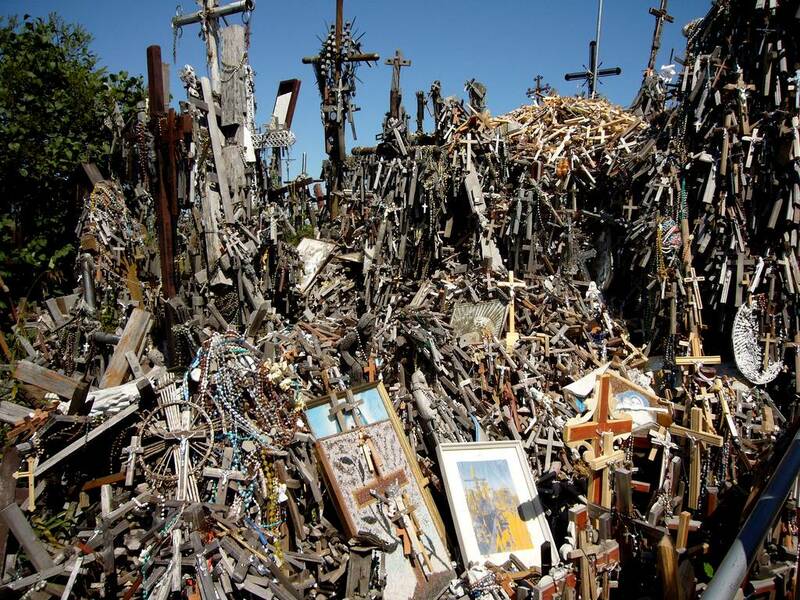 Over the four years of war time occupation, Lithuania lost 15% of its population – including over 90% of its Jewish countrymen and women. The country would not be able to restore its independence 46 years later in 1990. 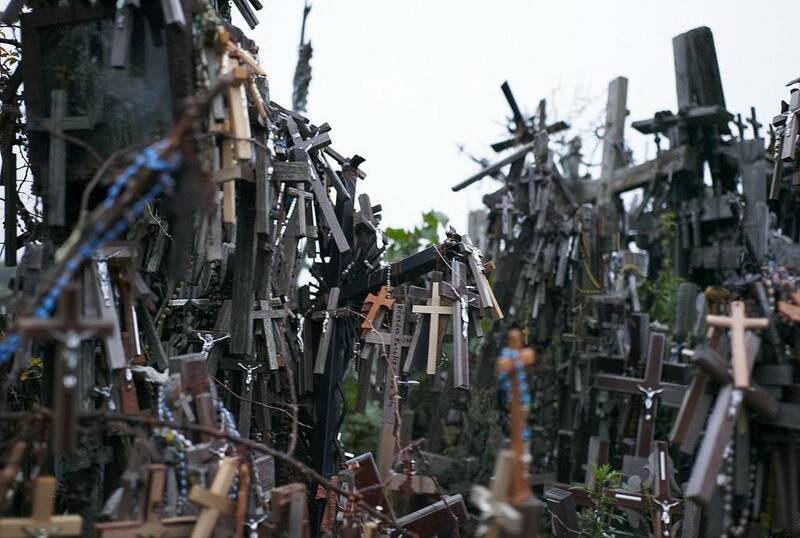 Yet throughout that time the Hill of Crosses persevered – one way or another. 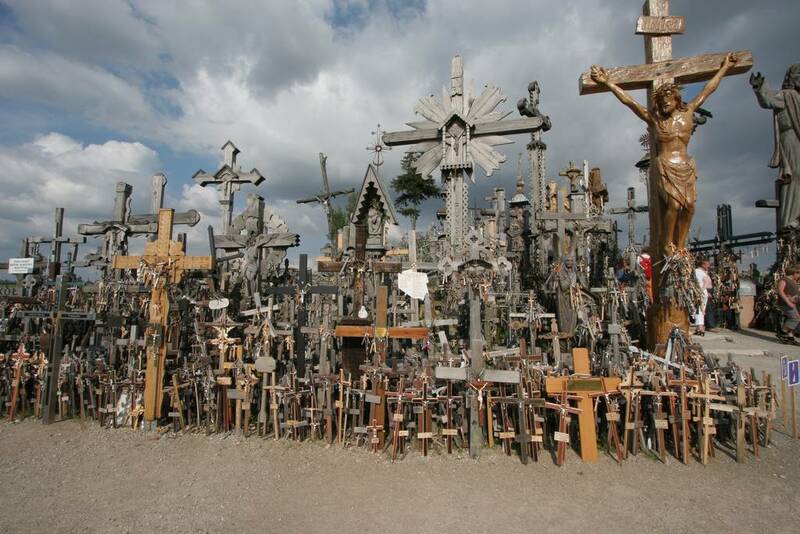 The Hill of Crosses may look organic, to put it politely – but that is the nature of the place. 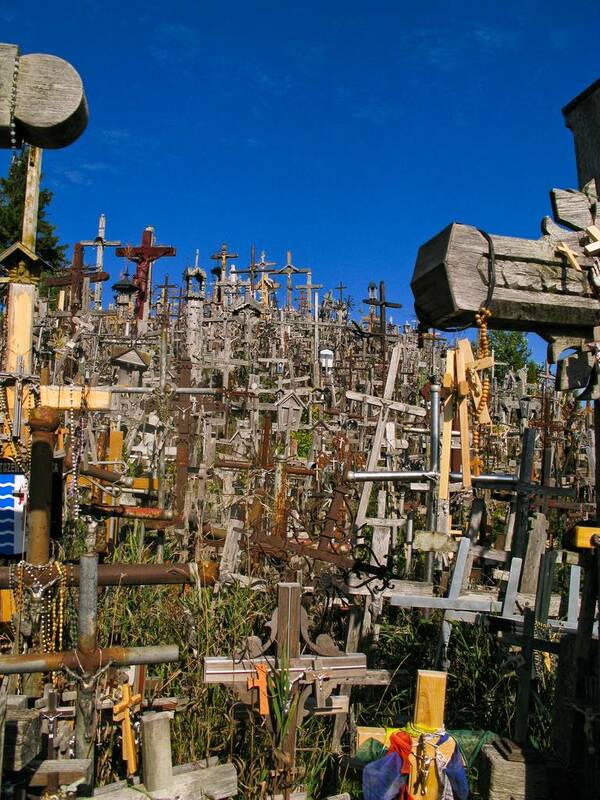 No one individual or organization is its designated overseer and visitors are able to leave their crosses where they will. 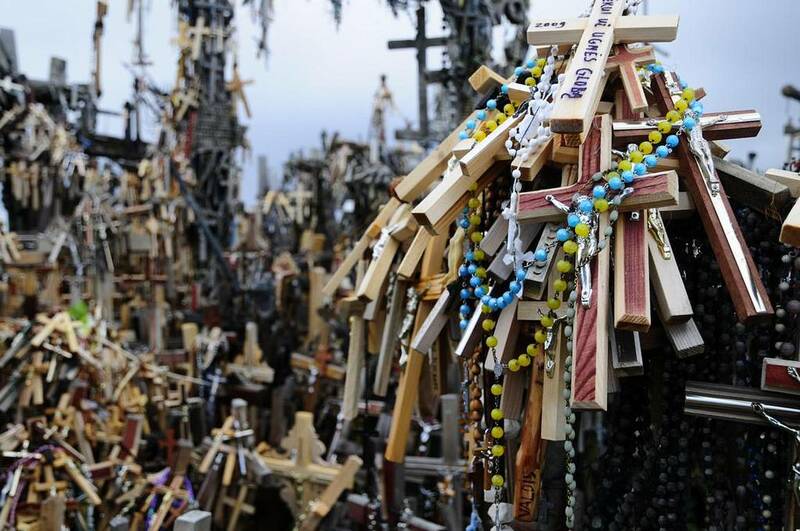 Often they place a supplicant message on their cross which details the subjects occupying their prayers. 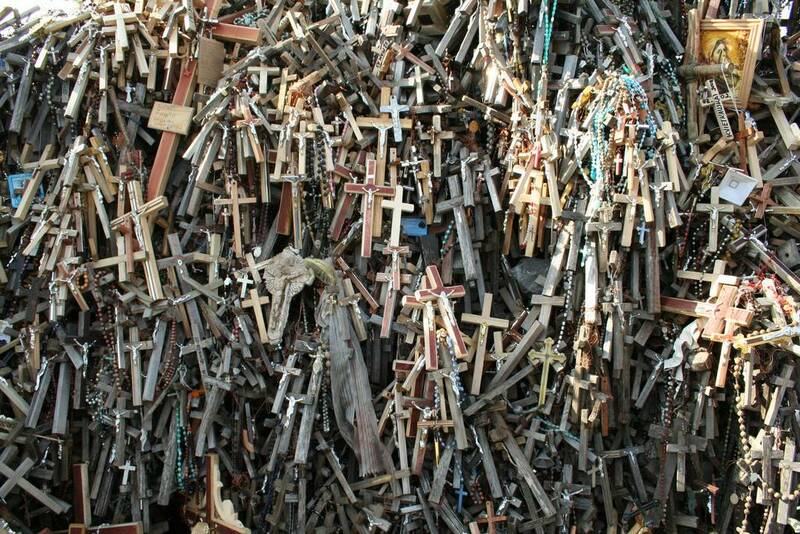 Often the crosses have no other place than on top of another. Then another is placed upon that - and so on. Image Credit Flickr User Mia! The place was, naturally, little admired by what was effectively an occupying force. 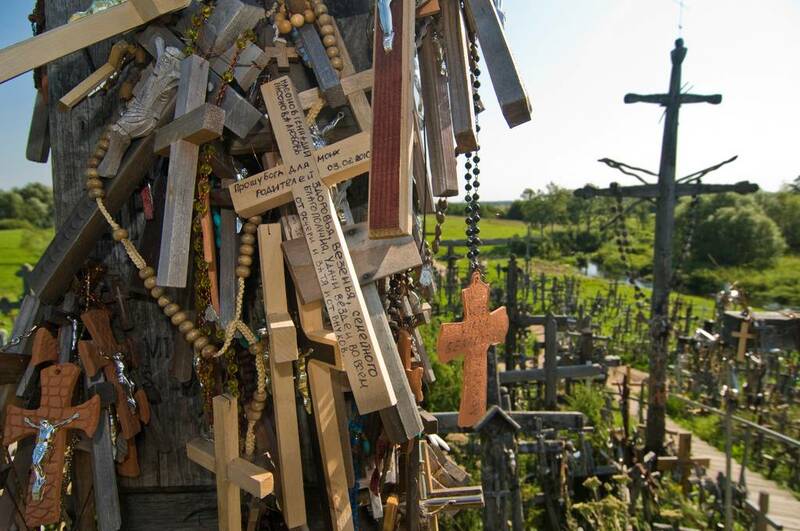 Lithuanians persisted in their pilgrimages to the Hill of Crosses where they would leave their tributes. 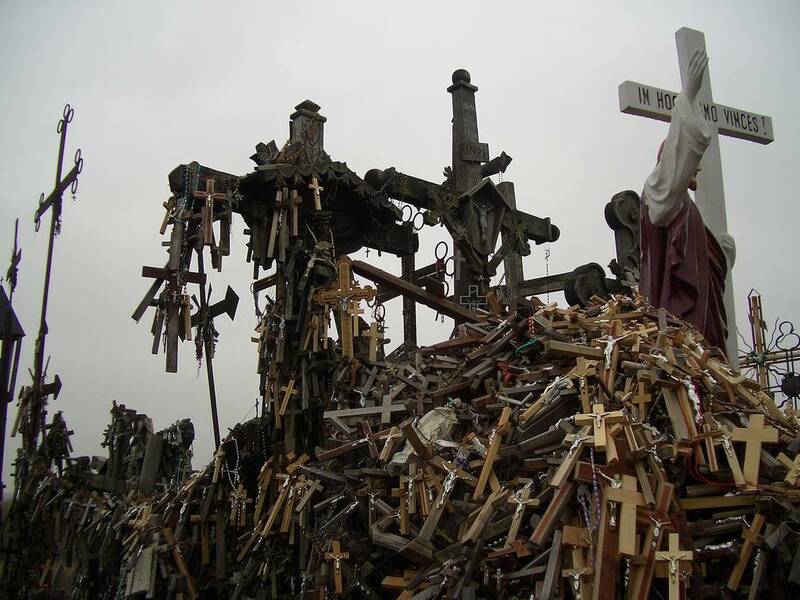 The authorities saw it as an obstinate attempt by the people of Lithuania to retain their identity, both religious and cultural, under communism. 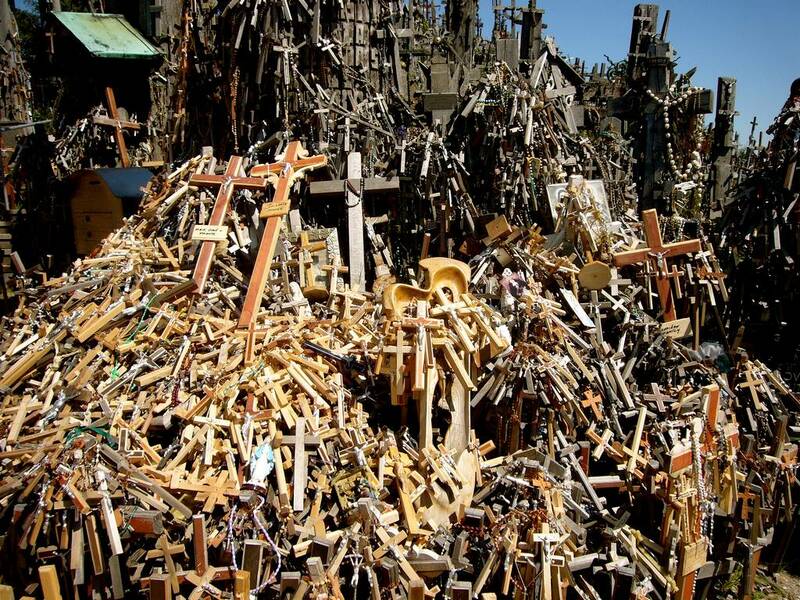 The Hill of Crosses was bulldozed three times during the Soviet occupation of the country. Incredibly, there were even plans mooted to build a dam on the nearby river. 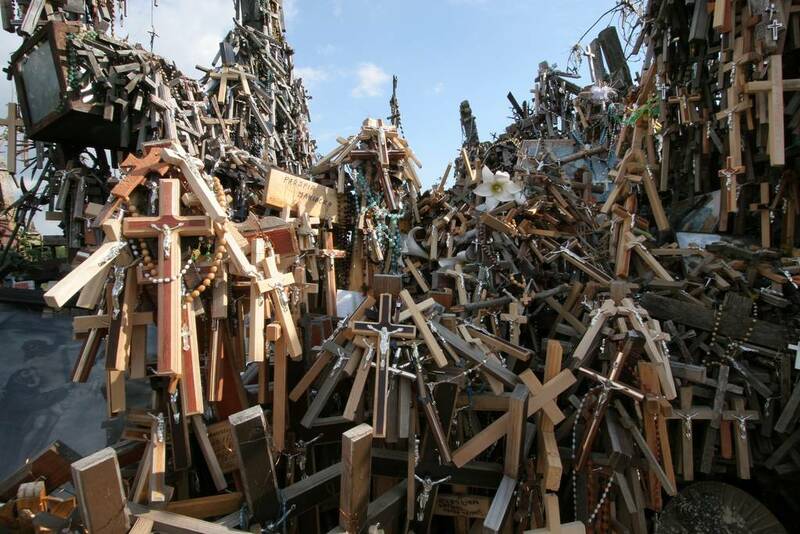 If it had succeeded the Hill of Crosses would have disappeared beneath fifty meters of water. 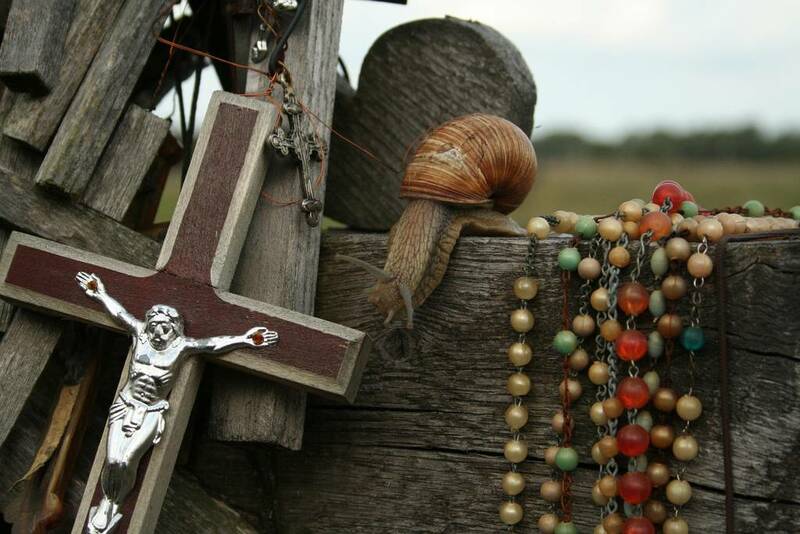 The plan, however, was considered too expensive to remove this particular thorn in the side of the authorities and the Hill remained. 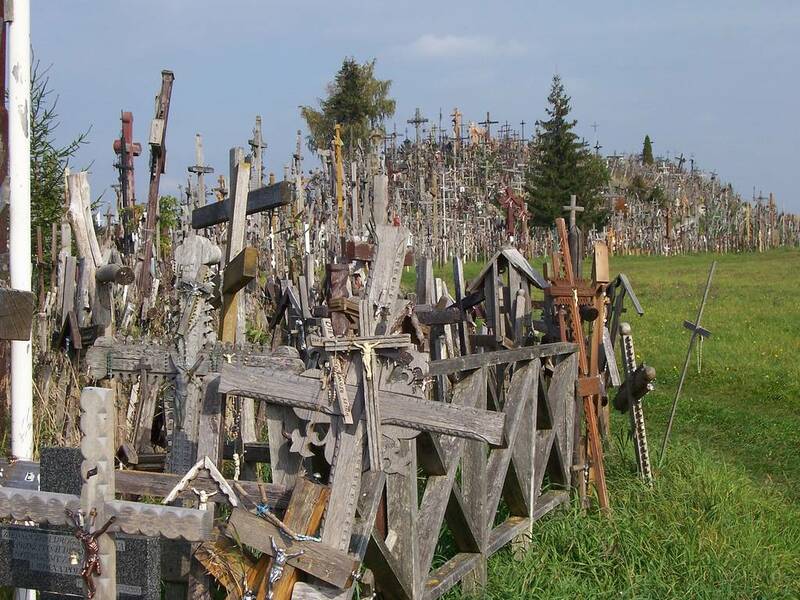 Whenever it was bulldozed, however, it was not long before the first new crosses would appear. However, the restoration of independence was not quite the end to the country’s troubles that people were hoping for. 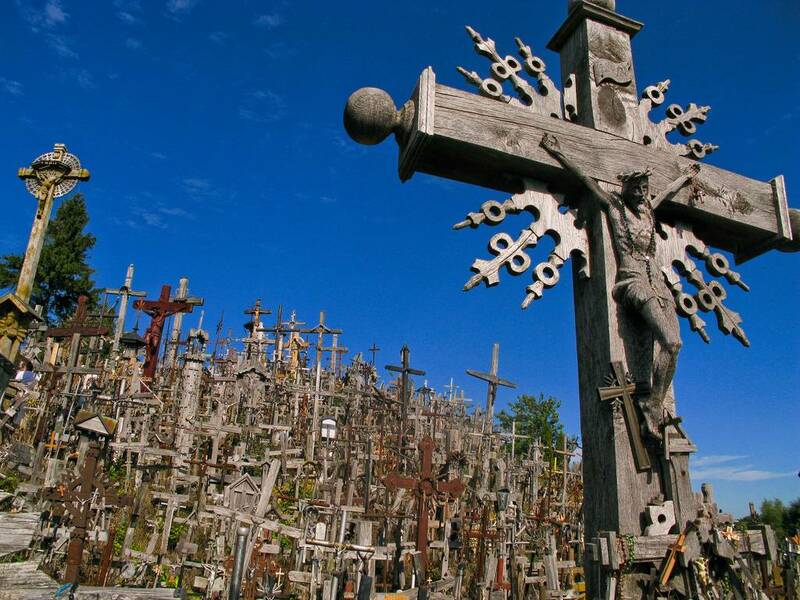 Lithuania had taken the brave step, on 11 March 1990, to be the first Soviet republic to declare independence. 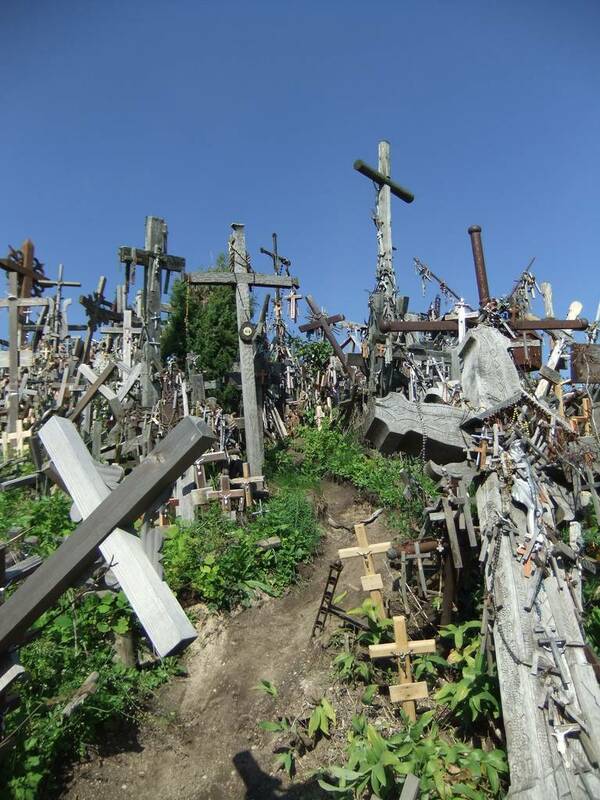 The Soviet Union responded with an economic blockade and an attack on the TV tower of the capital, Vilnius. 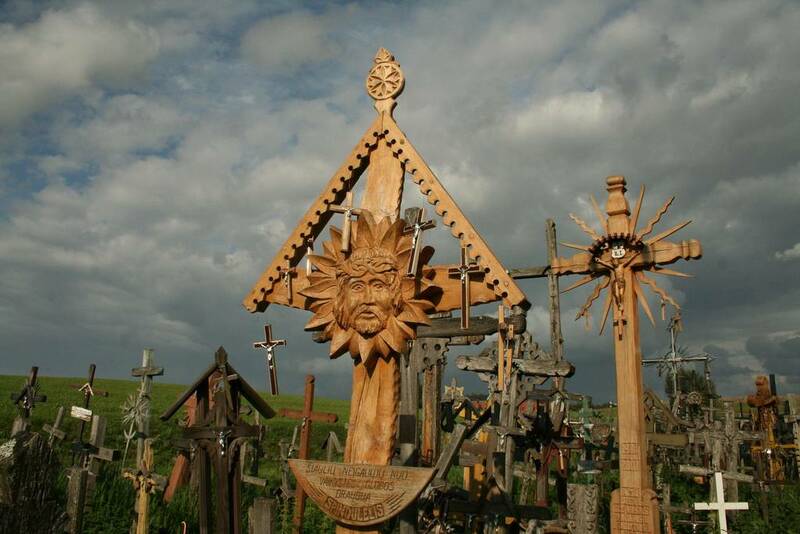 Yet by September of 1991, Lithuania had joined the United Nations. 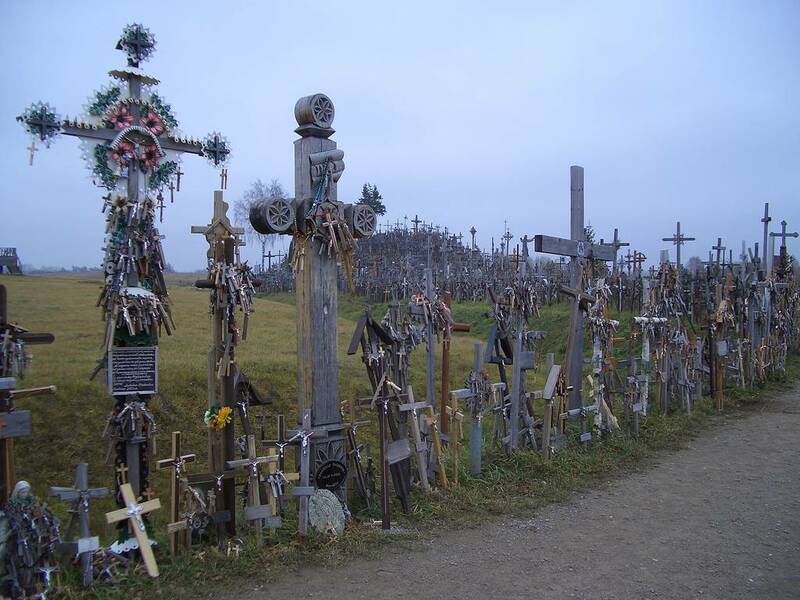 It would not be until the August of 1993, however, that the last Soviet troops left the country. 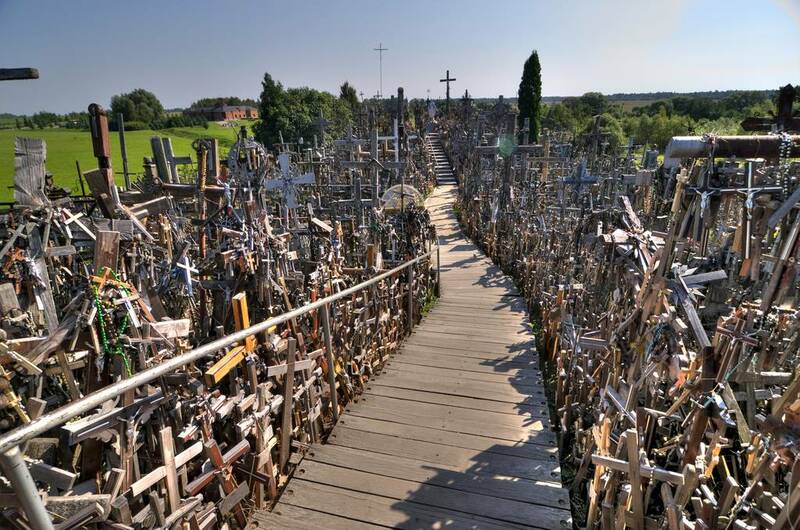 Just a month later, Pope John Paul II visited the Hill of Crosses. 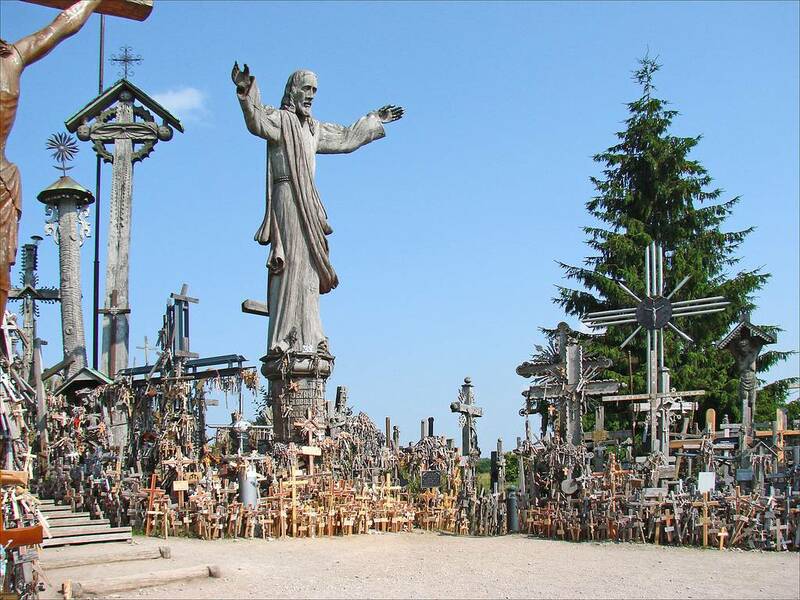 He declared the place to be something which every Lithuanian already knew – a home for hope, peace, love and sacrifice.